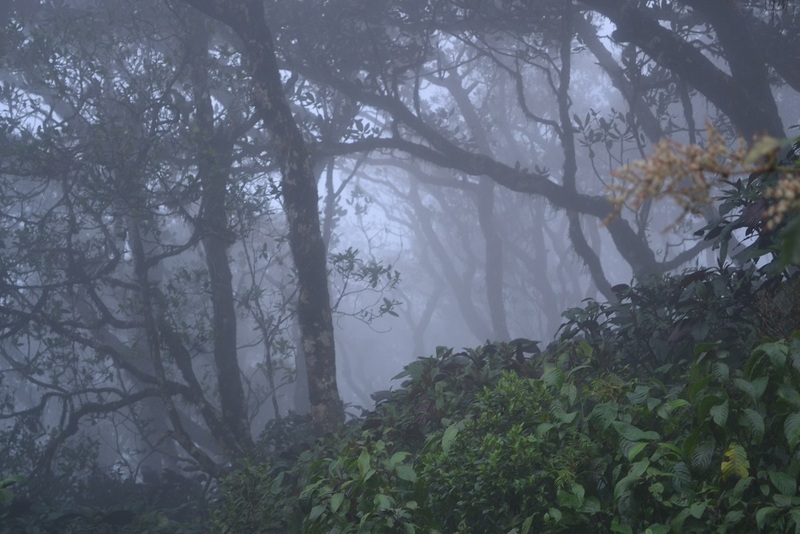 Cloud forests are generally found in tropical mountainous areas. The main characteristic is that there is a low cloud layer. The mist gives an enchanted look to the forest. Cloud forests are quite rare and found in very few places in the world. Luckily, we find cloud forests in most of the montane rain forests in Sri Lanka. Above picture was taken inside a cloud forest somewhere in Sri Pada range. Thank you for sharing such a rare thing with us. This is a beautiful, 'moody' image. Thanks George! Yes the picture is moody, but when you are there it is very lively.